Vinyl windows are made using polyvinyl chloride (PVC), the same material used in many plumbing products and other household items. Vinyl windows come in different grades, the most popular being Recycled Vinyl or Pure Virgin Vinyl. Recycled vinyl is made from a variety of recycled vinyl products and usually include plastics. While this can reduce the cost of the window, it also affects its durability and longevity. Pure virgin vinyl is a stronger material and is more durable than the alternative. Unplasticized vinyl (uPVC) contains no plastics which dry out under the extreme heat of our southern climate causing frames to warp or crack. An inclusive warranty for a durable product will guarantee the welded corners of the frames will not separate and that both the main frame and sash frame will not warp, crack or fade (the 3 most common failures in a vinyl window). Many manufacturers use some uPVC but also include a recycled material containing plastic to lower cost. This practice allows contractors to offer the windows at a lower price and to say their product is made of uPVC. Often the warranty will not specifically cover warping and/or cracking. Insist on a printed warranty card from the manufacturer, not the contractor’s warranty (Contractors do not manufacture windows, however many private label a popular manufacturer’s product). Pure Virgin uPVC is also stronger than PVC which provides the strength necessary for a slimmer frame. 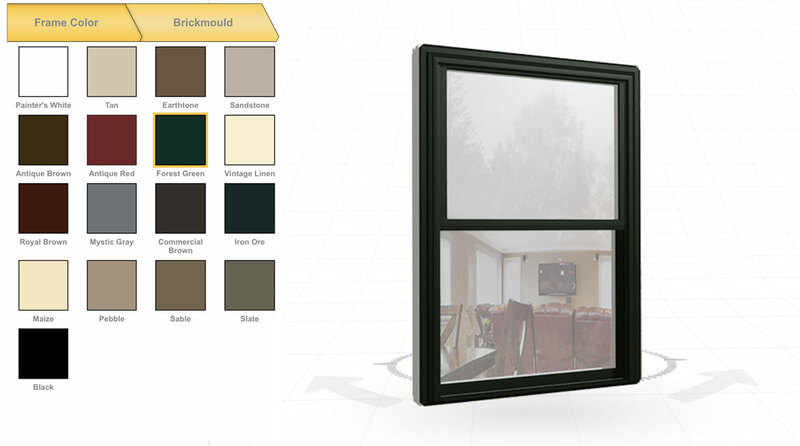 From an aesthetics point of view, most vinyl windows measure a bulky 3 ½” from the edge of the frame to glass restricting the view and reducing the amount of natural light, especially compared to the very narrow single pan aluminum frames we grew up with. A slimline window will measure between 2 ½” and 2 ¾”. If this design detail is important to you, be sure to ask your sales consultant to measure the sample window under consideration. Knowing what to look for and where to find information pertaining to product efficiency, aesthetics, and durability is the biggest challenge that most homeowners face when seeking to compare the numerous choices and corresponding pricing right for their project. Much of what you need to know is found printed in the manufacturer’s warranty. You simply need to know which facts are important, which are not and what is marketing fluff. Research conducted over the last 15 years’ experience with vinyl windows has led me to one manufacturer whose window includes all the features homeowners’ value most and what they may be unaware of that makes their choice a lasting, efficient, beautiful and secure decision. 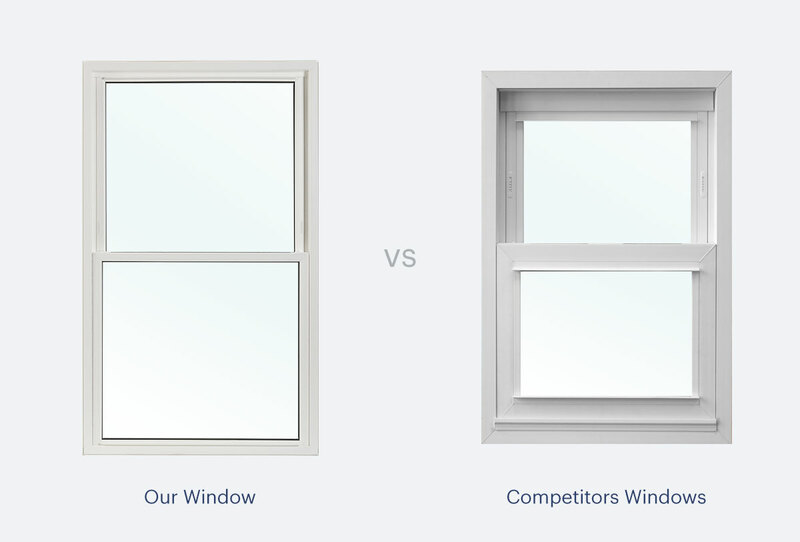 The following is an honest, experienced attempt to compare and contrast the many differences between vinyl windows through in-depth, verifiable details & specifications of these features and benefits. Advanced, triple weather-stripping seals for top efficiency performance. Compare to most manufacturer’s two-layer application. 33% more weather-stripping creates a much more airtight barrier for greater energy efficiency. Less dust and allergens blowing into your home between sash and frame results in a healthier living space requiring less cleaning. Cardinal LowE 366 Glass reflects radiant energy & approx. 99.8% UV light back to their source. UV light which can fade hardwood floors, furniture, fabrics and upholstery. The number 366 can be broken down with 3 representing the number of layers of LowE while the 66 is the percentage of natural light filling the room. By comparison, clear single pane glass allows most radiant heat and UV light in along with 80% natural light. Argon gas, filled at Cardinal’s facility, provides a 98% full insulated glass (IG) unit. Many manufacturers buy Cardinal LowE glass and fill the argon themselves. Their push-pull method results in a lower fill and higher leakage. Cardinal filled glass units enter a tank where all air is vacuumed while compressed argon fills the tank, then the glass is mechanically pushed against the spacer sealing the unit with the maximum amount of argon. Argon is how conduction is slowed to a crawl making your new windows much more energy efficient than LowE alone. Grids between the glass (GBGs) or simulated divided lite (SDLs) with muntin and mullion bars to closely resemble true divided lites. You may prefer the look of divided lites, open views without grids or a combination of the two. If you need help deciding, our experienced window professionals can recommend a look that compliments your home and lifestyle. Polyurethane foam fill doubles the frame’s R-Value resulting in more comfortable rooms, the ultimate in energy efficiency. Remember, vinyl frames can begin slump or sag at temperatures of 110 degrees, the temperature at which vinyl becomes pliable. Completely filling the cavities with injection mold foam helps your window frame maintain their shape thereby providing a better seal and curb appeal for many years. Slim Line frames provide a larger viewing area, fill rooms with more natural light and eliminate the bulky look you may have noticed on many homes with replacement windows. Most vinyl manufacturers produce a bulky frame 3 ½” wide from outer most frame edge to glass. Sunrise Single Hung and Picture windows measure only 2 ¾” saving ¾” glass viewing area around the entire perimeter. Again, If this design detail is important to you, be sure to ask your sales consultant to measure the sample window under consideration. Coved interior glazing bead for added elegance. Glazing beads are the component that holds the glass in the frame. Most manufacturers use a square glazing bead applied to the exterior side. From a security standpoint, exterior glazing is a bad idea. By removing the gazing beads the glass can be removed without lifting the sash or breaking the glass thereby bypassing your security system. Sunrise glazing beads are coved for a more attractive appearance and applied to the interior side for a higher level of security. Added security with recessed pick resistant locks. The lock mechanism is embedded in the meeting rail for a more aesthetically pleasing look much harder to pry or pick. Most manufacturers use flush mount locks that protrude from the meeting rail and are more easily pried or picked loose. Extruded aluminum screen frame with heavy-duty aluminum corner reinforcements for years of worry-free performance. Most inclusive window warranty I’ve found in 15 years of researching over 100 manufacturers. — Screen cloth will not tear or rip. Most manufacturers do not cover the screen mesh. Many lifetime warranties leave out specifications for the most common failures because they are not using the best materials which cost a little more. 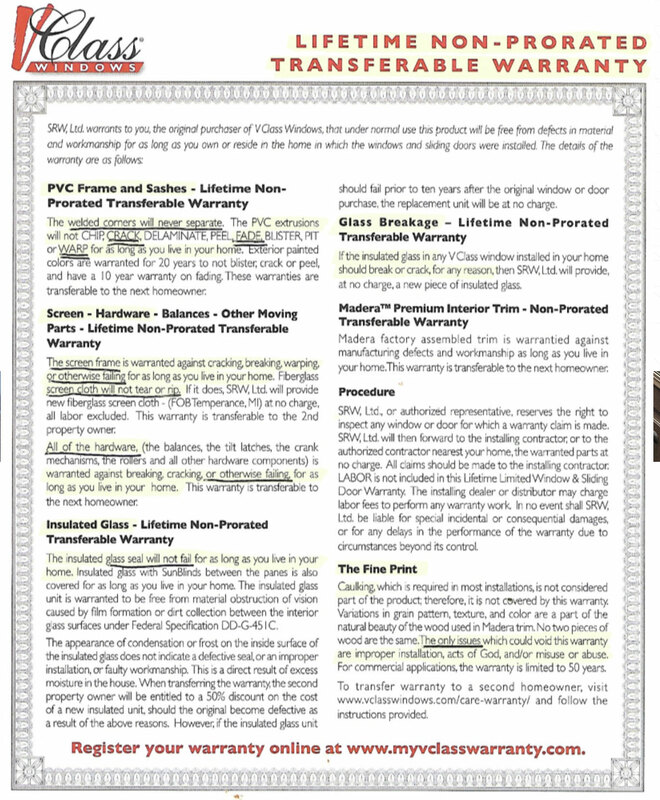 Notice the first word is “Limited.” Nearly all warranties contain exclusions and fine print. So-called good – better – best presentations are mostly the same window with minimal differences covered under the same warranty. 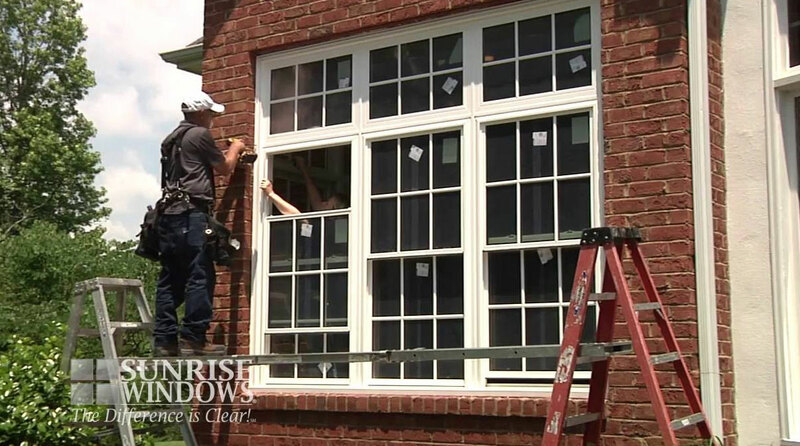 Ask your window professional for a side-by-side comparison and complete demonstration of the window you’re considering for your family home.